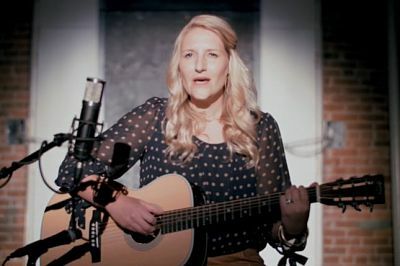 Award-winning singer-songwriter Sarah Sample treats us with an interactive interview in front of a live audience in our Mormon Stories studio—sharing with us songs from her new album, Redwing, which explores her faith journey out of Mormonism. Sarah writes beautiful songs that weave a trail of stories through folk, Americana, and country and have garnered comparisons to Sheryl Crow, The Weepies, and Bonnie Raitt. John, I can’t believe you didn’t ask Sarah if she’s a True Aggie! Very interesting interview and very beautiful music, singing, and lyrics! It’s been my privelege to have known Sarah Sample all my life. Throughout my travels, from both sides of the equator to across the international date line, as well as over the course of the many cultures and faiths I’ve experienced, Sarah continues to truly be one of the kindest, most genuinely Christ like people I have encountered. She is a true beacon of light. It continues to bring me great joy to share in Sarah’s faith journey through this podcast. Her music, depth, and spirit are precious gifts. Be sure to check out he latest album, “Redwing.” It’s absolutely wonderful.